Yesterday, Vince Horiuchi from the Salt Lake Tribune called me for comment on a story that was under embargo until 11am today. Google Fiber is investigating Salt Lake City. In Kansas City and Provo, incredible concessions were made to install Google as a residential fiber monopoly. Kansas City waived franchise fees, and gave free office space and pole rentals to Google. In Provo, the existing iProvo fiber work, which will cost residents upwards of $90 million, was handed over to Google Fiber for a dollar. If Salt Lake City offers concessions to Google, the same should be offered to XMission. Since the Provo deal went down, I have been in talks with Salt Lake City’s mayor’s office and city council about how XMission could provide fiber to the city. This has been slow moving. Mayor Becker told me this morning that the first he heard of the Google Fiber deal was last Friday the 14th. This is moving fast, because Google is a multi-billion dollar company, and XMission is not. If no concessions are made to Google, then they have every right to do what they want. They will install a network that will support one provider – Google. They will not support businesses at this time. They will relegate customer support to an out-of-town callcenter. Nevertheless, in Salt Lake City, I will most likely buy it because it will be my best option. In the coming weeks, XMission will be peering with the existing Google Fiber network because Google does not take a regressive, backwards approach to Internet expansion like Comcast and Century Link. This gives me hope for their network, but their issues with privacy remain. There remains a better way. The infrastructure company Macquarie is looking to build out all of the UTOPIA cities to 100% penetration. In my discussions with them, they have stated that non-UTOPIA cities and unincorporated areas (targeted by the notorious HB60 bill) were also on their radar. I have encouraged Macquarie to talk with both Salt Lake City and Salt Lake County, but up until now they haven’t done so. XMission will always push for open municipally owned networks, because they offer the best deals and the widest choices to the consumer. Google Fiber may be doing a great job with a few thousand customers, but when that increases to a few hundred thousand, it remains to be seen if their service levels will deteriorate to the level of Comcast/Time-Warner. Google, Comcast, and Century Link could all participate on UTOPIA, but they won’t, because a captive customer is a profitable customer. There is no doubt that Google Fiber will impact XMission’s business negatively. Most likely we will lose on the order of several thousand access customers. But, if I am not paying taxes to install them as a monopoly, there is nothing I can do. The one thing that has stopped me from running XMission’s own fiber over the past 20 years is a bankroll to do so. Google has that, and if they want to use it, they have every right to do so. Thanks for holding the line on privacy issues, Pete. It’s one reason (or many) that I will always be a loyal XMission customer. Thanks for the write up, Pete. I think now’s a good time for me as a resident in a non-UTOPIA city to push for access. How can I best do that with my local government? I gotta say 1. I like google, and 2. The question of scalability is valid, but my bottom line is much simpler: Buy local. Support local businesses that create local jobs. You don’t have to be Google to do fiber on a SLC scale. Go XMission. From a political standpoint, I can’t see any logic in elected officials giving a gigantic out-of-state company concessions that hurt local businesses. Isn’t their job LOCAL economic development, creating/protecting local jobs? Nathan, talk with your city council and mayor. You’re always welcome to drop me a line and I can mention interest to the UTOPIA board. I’m dismayed at the potential negative effects for Xmission but, it is about time for this to happen. As you point out, we cannot ever expect CLink or Comcast to improve the broadband infrastructure in SLC without a similar giveaway by the taxpayers. Perhaps the city can require local SLA management provided by companies such as Xmission. The local presence of technical support is a major advantage I find with Xmission. It’s strange you focus so much on the negative aspects of this, rather than the future potential. I used XMission for years back in the days of dial up. The total lack of competition has decimated independent ISPs. Comcast and Qwest ate colluding to prevent Utopia from extending into SLC by trying to pass laws to forbid it. Someone needs to break this monopoly, and like you suggested, Google definitely has the resources. People opt into XMission for their killer service. Google is not a service oriented company. It seems like XMission would be a natural ally to Google… And I wonder how resistant they would be to offering customers choice of service providers on their infrastructure. Regardless, mixing up the entrenched market in the valley could only benefit consumers. I’m tired of commuting from my house in SugarHouse with a slow, unreliable Internet connection, to the suburbs where my last three Tech jobs have been located because of the access to cheap high speed internet infrastructure. It sounds like they intend to build and pay for the infrastructure themselves anyways. Drive down the cost of data– and it’s back to the good old days where the differentiator is service. You state that they have every right to use their bankroll. Why? They will be utilizing public space, public rights of way, and public cooperation to allow this to happen. You are paying taxes. Taxes that support our public areas. This gives you and us the right to ask for more from this. Or to ask for publicly funded fiber optic networks. At the very least, part of the contract with the city needs to be that local ISP’s need to given the option of providing service through the network. Much like Qwest used to allow until CenturyLink found/created a loophole to prevent this for newer lines. Not only are there privacy concerns with Google, but because they are very powerful with search and ad networks, they have effectively tanked revenue streams for smaller websites, and make it so that can be subject to the whim of the algorithm de jour when it comes to search engine ranking. This is just another area where they will no doubt do the same thing that they have done with internet advertising. Drive out the smaller players, increase their coffers, and continue to do this around the country. The only good thing about this is that it gives competition to CenturyLink and Comcast – who, by the way, use public rights of ways for their cables and lines, and who should be (but aren’t) subject to regulation because of this. All of these companies are using public spaces for private gains at the expense of independent companies such as Xmission. Alternatively, Open Mesh might be another option that could circumvent almost all hard wired infrastructure for potentially much lower cost. I’m sorry to hear that your best option would be to go with Google for home internet, Pete. It’s indicative of how bad the home broadband market currently is when the comments on this news story at various sites is full of everyone begging Google to come to their home town. More so when this even includes people who are concerned about a large Google monopoly or privacy issues. That is just sad. Come on FCC, do your job for once. At least Google isn’t offering business connections. I sure hope your business customers are enough to keep Xmission alive. Dave, they will be using public right-of-ways and public land, but if there are no concessions, they pay franchise fees to the city in order to do that. Roger, if you already have UTOPIA why do you want Google to buy it??? I figure UTOPIA is the best. Google is for those on crappy DSL who can’t get it. I’d love to see UTOPIA expanded to Salt Lake City — the way it should have been before the duopoly of Comcast and Qwest undermined the measures a decade ago. However, I fully expect those two companies will (or continue to) attempt the same thing this time around as well. As mentioned, Xmission can’t fight those two alone; a much bigger player has to get into the ring to effect a change, and that might end up being Google. If Google does lay down fiber I’d be happy enough just to see the duopoly’s market share undermined and their profits fall. I’m pretty bitter about those two. Investigated Comcast – to see why Utopia was in trouble – the answer – Comcast -they lobbied thru a thing called Taxpayers assoc- to squelch Utopia ‘s attempts to advertise etc.. The comments I got (unsolicited ) from various Comcast customers were not flattering -to say the least. 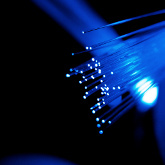 A public utility for providing Fiber Optic connections is long overdue- to all of the state. As an Xmission ISP user on UTOPIA fiber I have a choice of which ISP to utilize. I choose Xmission for the very reasons of their peering and open network policies. Google can be another ISP on UTOPIA for all I care. But they should NOT own the fiber to the home. I bought and paid for my fiber install so I should have the freedom to choose the ISP of my choice. Go Xmission! CLink and CCast want their stock holders to pay for infrastructure and have the PSC issue rate increases. No way will they ever have their stock holders pay for infrastructure.